The Government's policy to promote Malta as a leading jurisdiction for Aircraft registration and as an attractive location to base air operating companies continues to register further success. 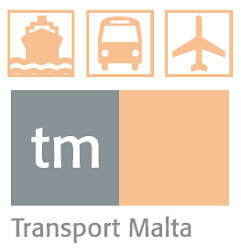 In fact, the number of aircraft on the Maltese aviation register has now reached a record number of 201. Since January, the Authority has registered 49 aircraft which compares very well with the 43 aircraft registered over the whole of 2014. The last year has seen various initiatives aimed at restructuring the Civil Aviation Directorate. These included extensive training to key personnel and an aggressive recruitment drive that resulted in doubling specialised inspecting personnel at the Authority. Today, the Civil Aviation Directorate has the necessary expertise to ensure the highest level of safety standards and service required by the industry. More investment in personnel is expected to be made next year to further strengthen other areas of the Directorate. These efforts have been recognised by leading international operators who are increasingly considering Malta as their place for business. Commenting on these positive results, James Piscopo, Chairman & CEO of Transport Malta said "we are determined to ensure that Malta becomes a significant player in the aviation industry. The investment in specialised personnel is providing the required impetus to secure more business from a sector that gives our country prestige, direct foreign revenue, employment and added value."